Nico Handley holds the curtain for Kiara Rice as she looks to the stage before a dress rehearsal begins Aug. 16, 2007 at the Paul Robeson Performing Arts Center at Rainer Beach High School. 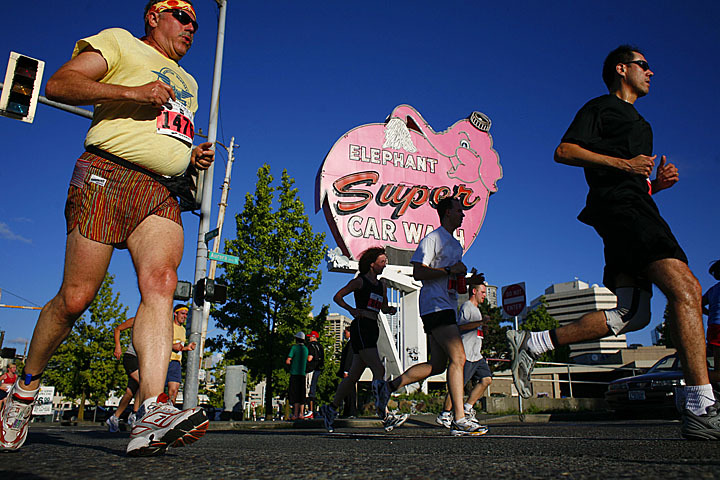 The production was led by Broadway Bound, a childrens theater group based in Seattle’s more affluent north end. Broadway Bound had six weeks to prepare two-dozen high-school students, many of whom have never acted or sung on stage, to put on a high-quality, full version of Dreamgirls. Here is a soundslides link with images by staff photographer Ken Lambert and myself with audio and soundslides production by Ko Im. Ken’s images are of the early rehearsals and mine are of the dress rehearsal the day before the show. 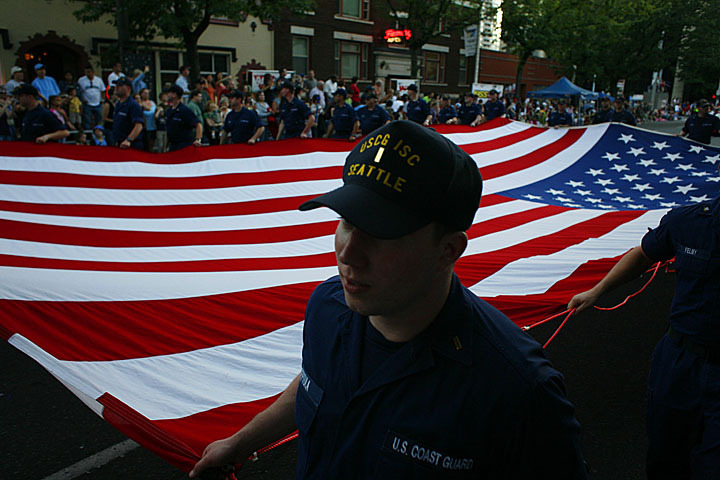 Ensign David Deptula of the U.S. Coast Guard helps carry the American flag during the Torchlight Parade. 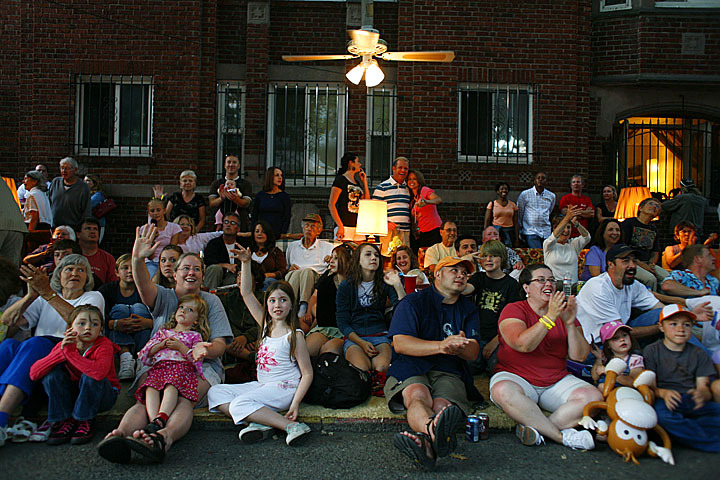 A group of people who have set up a living room on the sidewalk wave to the participants in the Torchlight Parade. 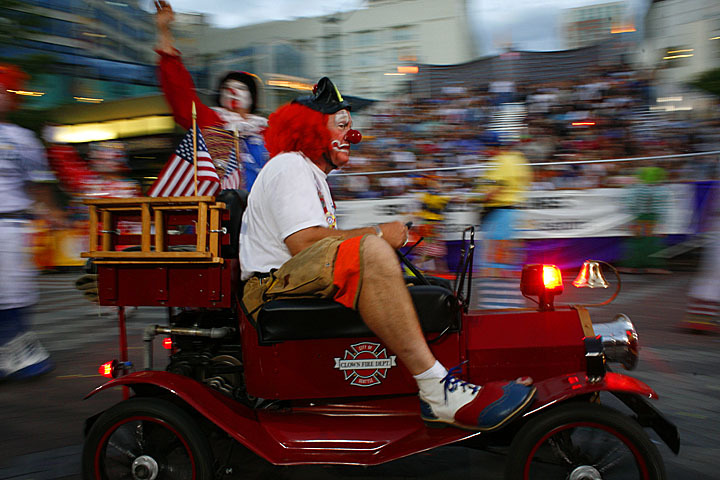 A clown from the Seattle Seafair Clowns drives by the grandstand Saturday evening during the Seafair Torchlight Parade.